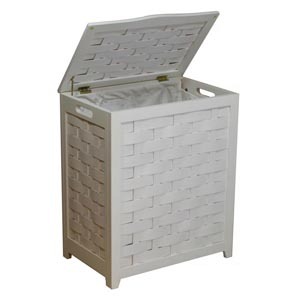 Contemporary design for your bed or bath by adding this laundry hamper to your home decor. 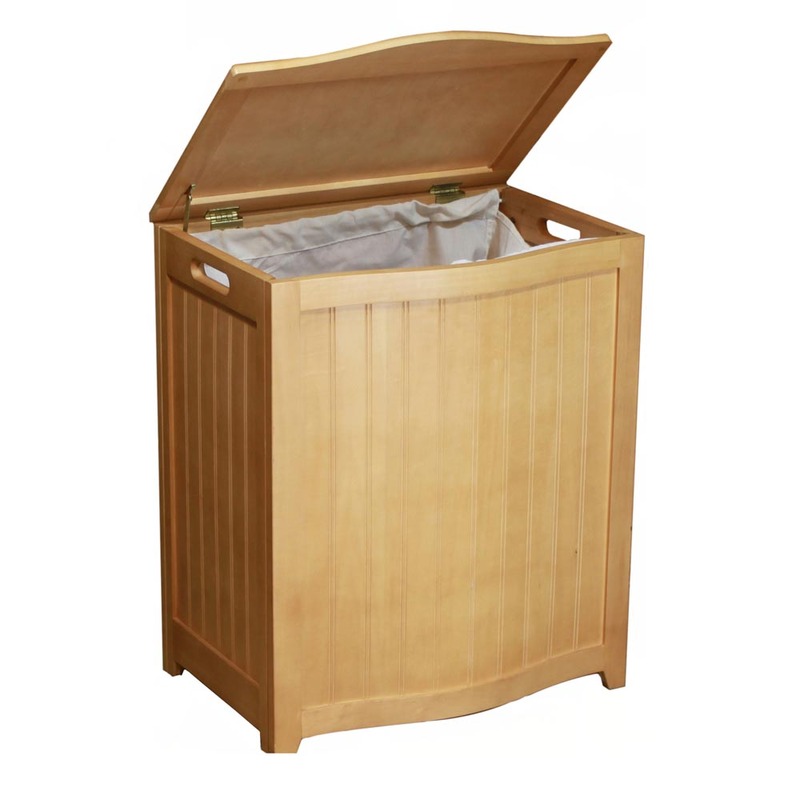 This laundry hamper is a solid wood construction hamper; it adds durability and elegance to any room and helps to keep your room neat and contemporary. This laundry hamper comes with a canvas bag and double hinges with hardware and other accessories to assemble. There are also rubber bumpers on the lid which help to prevent damage to the hamper. Two hand grips on the side makes it easy for you to carry your clothes to your laundry room or you can also take out the canvas bag to your laundry room. 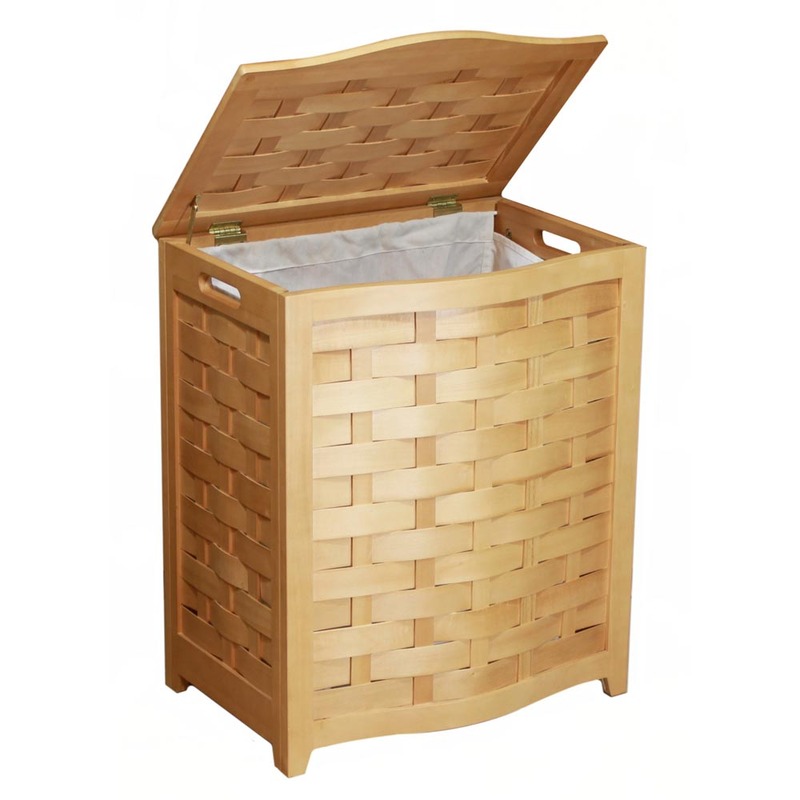 This beautiful hamper is functional while adds class and style to your room. Assembly required. Hamper Size: 24in H x 14.25in D x 20in W. Assemble weight: 13 lbs.